Mads Mikkelsen wears a Seiko Sportura Solar Chronograph watch in the movie Arctic (2019). 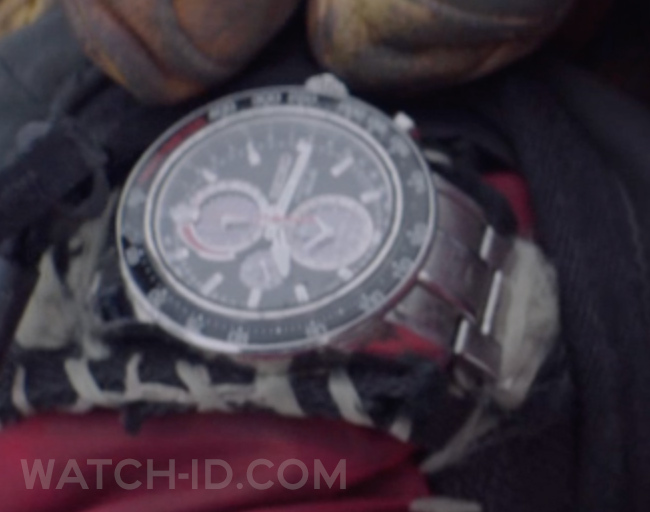 Mads Mikkelsen wears a Seiko Sportura Solar Chronograph SSC357P1 watch in the movie Arctic (2019). 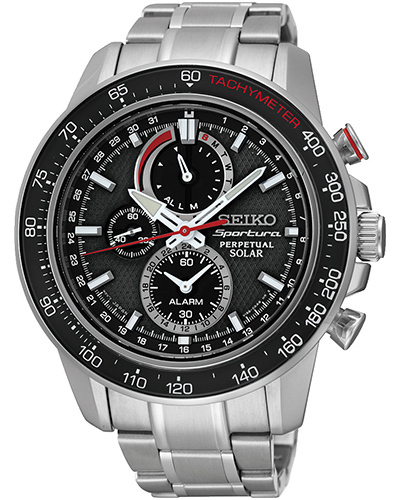 The Seiko Sportura Solar Chronograph SSC357P1 featrues a 45mm stainless steel case and bracelet, black dial with three subdials, tachymeter and alarm. It is solar powered with a 6 month power reserve. The watch can be found on eBay for around $250. Arctic is a survival film, directed by Joe Penna (aka MysteryGuitarMan) and starring Mads Mikkelsen as a man stranded in the Arctic who misses his chance at rescue. The watch is featured prominently in the film, with the main character using the alarm feature of the digital watch. The beeping sound of the watch is also used as part of the soundtrack in the trailer.